Table tennis is a tough game that requires quick instincts and refelxes. But if you are already an expert in the game, then why to settle for an ordinary ping pong table? 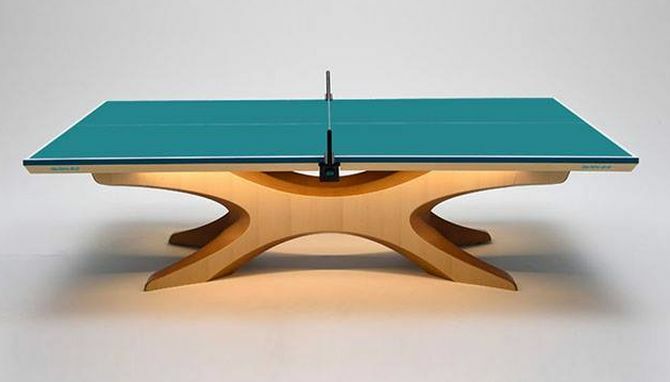 Instead get your hands on the exclusive gaming table that has been designed especially for Rio 2016 Olympics champions. No Kidding! The standardized Rio 2016 Olympic Infinity Ping Pong Table by Shinichi Sumikawa can be yours for $15,000.